Microsoft Office has become the most popular and most preferred office suite applications to be widely used nowadays. But, the expensive price of a legal Microsoft Office software can become a burden for most people as it’s not a free lisenced software. What to do when you don’t have a Microsoft Office Word software? 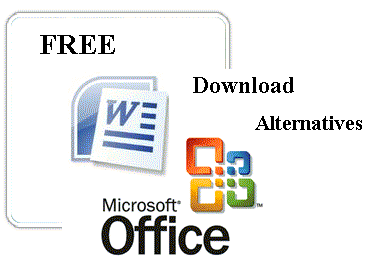 Learn how to get Free Microsoft Word Software- Alternative Solutions! Besides the original Microsoft Office Word, there are other free software doing the similiar functions as the MS Word document software. They can be a document viewer, also able to run finely on other operating systems such as Mac and Linux platforms instead on Windows. Maybe they are not as comprehensive as Microsoft Office, but they still manage to handle most of the office application jobs. Well, here are 7 FREE alternative solutions to publish your FREE Microsoft word documents that can save you lots of money. An open source free Microsoft word you can download. Open Office is an office suite has fully-functional office editing tool(Writer- Word), (Impress- PowerPoint) and (Calc- Excel) suitable for many platforms including Linux (Ubuntu), Mac and Windows. Google Docs is a free Microsoft word editor similiar to MS Office application. It is a convenience online editing tool for you view and create your new word document for free anywhere in the world where Internet connection is available at anytime. Besides, you can upload your existing .doc file to edit it online and after that save it back into your PC. Angel Writer is another free to use replacement for Microsoft Word text editor that allows user to publish file in format of .doc contains text, tables and graphics, change font size or color, and even to include hyperlinks (info organizer). ThinkFree Office is a word application suite consisted of word processing, spreadsheet, and graphics presentation software usable either online or offline. Thinkfree also has advanced collaboration features such that users can convert, embed, upload, search and share documents with anyone around the world. A web based of Microsoft Word which is similar with Google Docs but with better features. You can register an account to use it. The tools allow you to post your document to blog, import or export the document from template library into your PC. You can start creating your Word document with those cool online software by using your current Yahoo or Google account to login! Another great best word processor money can’t buy that lets you to produce quality tasks similar to what Microsoft Word It has the same functions like MS Word with the features of changing font size and highlight words in bold, italic, underline, etc. It also supports document printing. A free word processor that runs entirely in your web browser. Instead of using expensive desktop software, Shutterborg makes life easy by allowing you to edit documents online for free. Great post. Thanks for giving the download links. To my mind MS Word is the good program,but I know better-word repairer.Because this tool can to help in situation with corrupted and deleted word files.Software is free as far as I remember and can too open doc, docx, dot, dotx and rtf files either from your workstation or from any location within your corporate network. You should also try SSuite Office for a free office suite. They have a whole range of office suites that are free for download. Their software also don't need to run on Java or .NET, like so many open source office suites, so it makes their software very small and efficient.